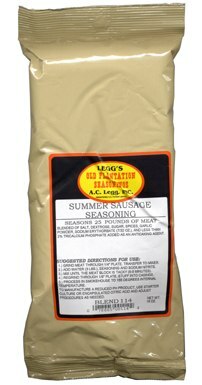 Leggs Old Plantation Summer Sausage Seasoning produces 25 pounds of delicious smoked summer sausage using beef, pork, poultry or venison. Stuff in fibrous or natural casings. 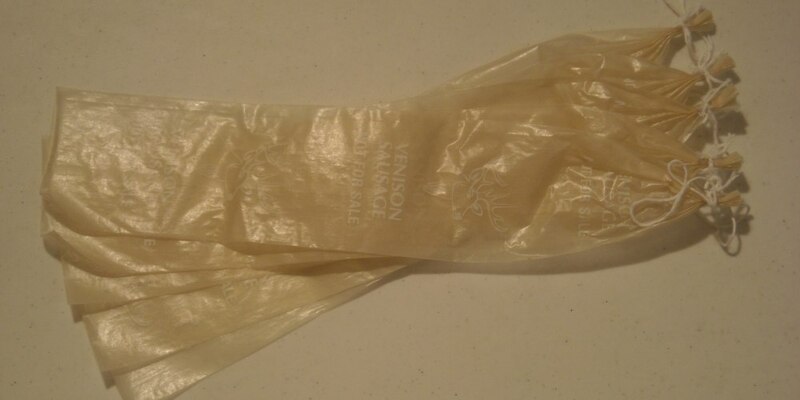 Blended of Salt, Dextrose, Sugar, Spices, Garlic Powder, Sodium Erythorbate (7/32 ounce), and less than 2% Tricalcium Phosphate added as an anti-caking agent. All natural spices. Contains no MSG, wheat or dairy products. Net weight: 18oz. From Al of Colorado Springs, Colorado on 9/7/2016 . 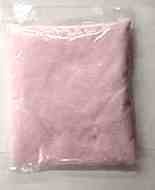 summer sausage seasoning #114 to use per pound . . .